This is my new hi tech front end lifting device. 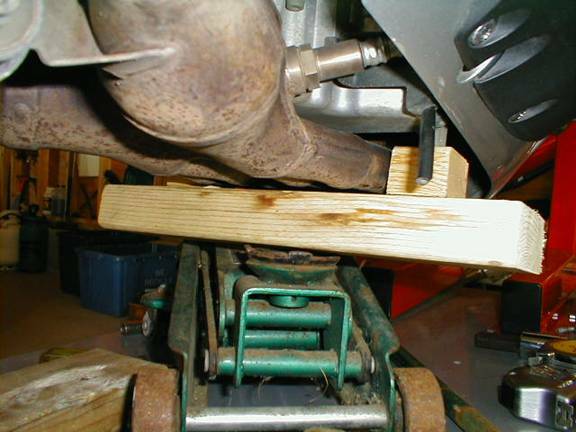 For those of you that are reluctant to jack up on the exhaust pipes with a 2x4 across them, add these 2 spacers and line them up with the oil drain plug/tang and the leg sticking out on the opposite side of the motor. 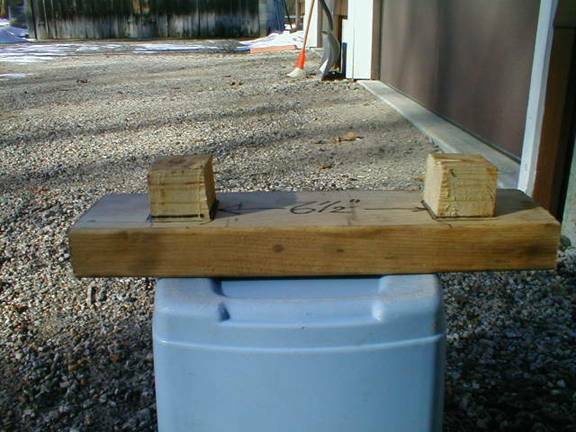 Use floor jack under middle of 2x4 and lift. You are lifting on the motor now, not the pipes. This is my high tech front end lifting tool in action. This is from the right side looking forward. This clears the exhaust by about 1/4" and is lifting on the 2 "feet" on the bottom of the engine. That's a vent hose hanging down in front of the spacer block.